Available now from TTI Europe and ideal for high current applications, the PSx series of shunts has just been expanded by KOA. Built using a solid metal alloy resistance element with copper terminations the device also has a low TC and excellent pulse characteristics. These new shunt resistors are ideal for accurate high current sensing in automotive and industrial applications as well as in high pulse power applications. The devices offer current ratings up to 244A in sizes 1216, 2512, 2725 and 3920 inches. With two or four-terminal construction, they offer ultra-low resistance, with excellent long-term stability and pulse withstand performance. Provided with a robust construction the device operates at temperatures up to +170C. 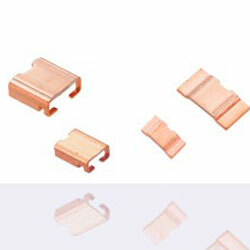 The devices are EU-RoHS compliant, and AEC-Q200 qualified. Typical applications include automotive ECU, EPS, ABS, Motor control, EV/HEV, BMS; DC-DC converter, inverter power supplies, frequency converters, and intelligent power modules.